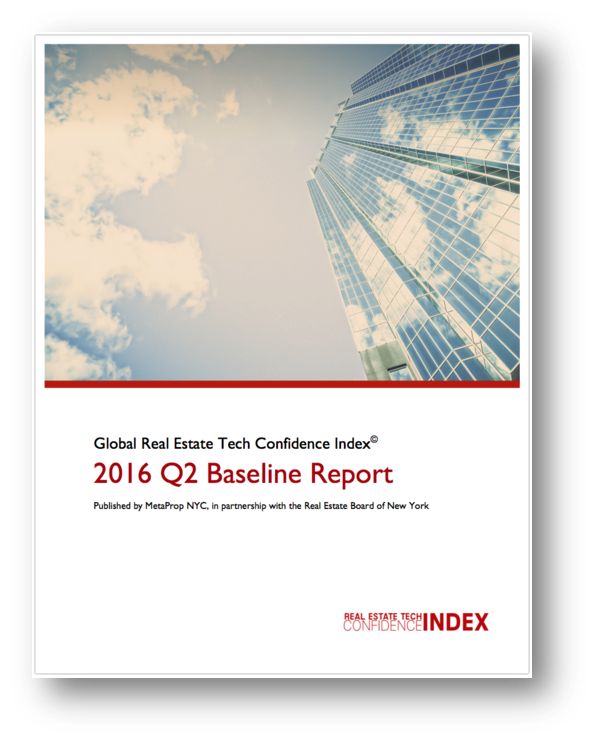 The Global PropTech Confidence Index is the experts' view on the future of the market. MetaProp publishes the Global PropTech Confidence Index twice a year to provide the global community with the most up-to- date insights from startup CEOs and capital investors regarding the PropTech innovation ecosystem. MetaProp Advisors' Global PropTech Research also provides fundamental insights and analysis for clients and the PropTech community worldwide. Covering the real estate value chain in regions around the world, our research reports help investors, startup entrepreneurs and traditional real estate company executives better understand the issues and trends that affect their PropTech investments, markets and businesses. Visit the Research page for more PropTech publications. 96% of investors are planning to make either the same number or more PropTech investments in the next 12 months compared to the previous 12 months, up dramatically from 76% a year ago. 57% of investors are expecting to see more pitches in upcoming 12 months, down from 76% at year-end 2017. 36% of PropTech investments are exceeding expectations in terms of customer growth, up from 21% year-end 2017 and from 12% two years ago. 44% of startup CEOs said their company has been operating for at least three years, a major increase from 30% just six months ago. Respondents to the survey increased by 175% from Q2 2017 to Q4 2017. 86% of PropTech startup CEOs expect their space to be more competitive in 2018, compared to 2017, up from 76% in Q2 2017. 76% of investors are expecting to see more pitches from PropTech companies in 2018, compared to 2017, up from 62% in Q2 2017. 31% of investors are making investments past the Series A level, up from 19% in Q2 2017. 48% of startup CEO survey respondents are headquartered outside the United States, an all-time high, up from 30% in Q2 2017. Overall, the Q4 2016 Investors’ Index was 8.2, up from 8.0 in Q2 2016, while the Q4 2016 Startups’ Index was 6.6, up from 5.4 in Q2 2016. 92% of PropTech investors expect to match or exceed the number of investments in 2017 compared to 2016, demonstrating confidence in the growing PropTech sector. 57% of investors expect to see more M&A activity in 2017, as recently seen in the VTS-Hightower merger, which many consider the tip of the PropTech M&A iceberg. 63% of startups are forecasting at least 2X revenues or more for 2017, compared to their 2016 numbers, demonstrating strong sales growth optimism. Thank you for your interest in research and publications from MetaProp NYC and the Real Estate Board of New York. If you'd like to participate in our next Index or have questions and suggestions, please don't hesitate to contact us at index@metaprop.org.